Welcome Croeso St Asaph Runners was founded in 2010. We are a small club supporting our local community. We meet on a Monday, 6.30pm in the Bridge Car Park, St Asaph for a run. We cater for all abilities from competitive runners to complete beginners. We encourage anyone to come and try. Find us on Facebook. 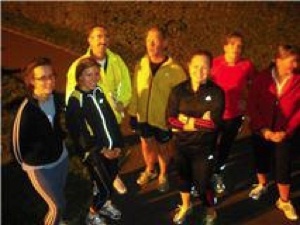 St Asaph Runners was founded in 2010. We are a small club supporting our local community. We meet on a Monday, 6.30pm in the Bridge Car Park, St Asaph for a run. We cater for all abilities from competitive runners to complete beginners. We encourage anyone to come and try.